The digitisation of everything is upon us, so it’s now an imperative for businesses to digitise their manual processes to remain relevant to their customers. It sounds easy, but although there have been leaps and bounds in the technology fields of big data and analytics, supply chain managers have been slower to implement automation processes when compared to industries such as marketing and manufacturing. 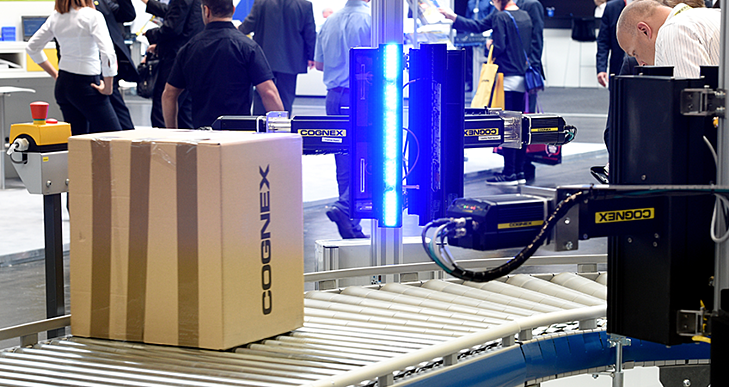 Solving the automation challenge of your warehouse can be seen as daunting if you haven't started, but thanks to advances in technology the timing could never be better. According to a report released by EY, “businesses need to pursue innovation to disrupt their own business model before the competition does” (source). But the irony behind the slow uptake of digitisation within the logistics industry is that digitally sprucing up your distribution facilities can irrevocably transform your business as well as your whole supply chain. Let’s take a look at 5 easy steps you can take to digitise your processes so you can get ahead of your competition. You’ve probably heard enough nightmare stories of poorly implemented Warehouse Management Systems (WMS) to scare you away from totally eliminating manual processes, but hanging onto paperwork will only slow down your business processes in the long run. There are quite a few disadvantages when it comes to hanging onto paper; there is high potential for human error when checking off items on paper purchase orders, paperwork is easily misplaced, handwriting is easily misunderstood or misread, and any information put on a piece of paper eventually needs to be entered into an ERP system in the back end anyway. So why do many logistics managers hang on to paper like grim death? If a WMS implementation isn’t connected to important areas of your business (tips for achieving this can be found in point 3), then staff will struggle working with the system properly as related systems won’t speak to each other. If the WMS implementation is not seamless, then staff will revert back to paper processes. So consider ditching the timely process of using paper, and ensure you train staff on the technology that is replacing it, such as e-invoicing, or barcode scanning. Mobile devices like smartphones and tablets have really revolutionised the way businesses collect data. Automating your data collection will provide untold benefits when it comes to receiving real-time updates on inventory changes and important metrics. There is probably a lot of data moving around your supply chain, from front-office to back-office management and production systems. Utilising and analysing the data that is available in the moment is essentially what you would refer to as harnessing real-time data. It’s been predicted that real-time data will eventually transform point-of-sale purchasing, when consumers can walk into a store, the product identification number will be picked up and updated in a back end system which will eliminate the need for a purchase transaction. Data driven analytics can help you manage inventory and respond to fluctuating purchasing cycles, however, many businesses struggle to harness the insights of big data properly. Try to integrate big data into your business model so that each critical area of your business can access important information on the fly. Distribution centres are generally one cog in a greater complex system. The more you understand your supply chain and how different areas feed into each other, the better you will be able to react to changing customer demands. A bottleneck in one area that causes severe delays throughout the rest of the supply chain isn’t just important for the warehouse manager to be notified of, but your patiently waiting customers also need to be notified. To achieve efficient automation of your processes, you may need a purpose built system that integrates with other systems. You might also require a data manipulation tool to ensure the information moving between systems makes sense. Any WMS system you implement should be able to communicate and integrate with various systems. This means you may need to set up specific work streams to automate processes easily without the need for constant assistance from a technician. This means that so far, if you can remove all manual paper processes, and utilise the real-time data that is generated through digital processes, you should be able to harness enough information to create meaningful changes in your business. But if you're unsure where to start when it comes to integrating your systems, you may need software-as-a-service to help you on your digital journey. And this leads us into the next tip on ensuring your supplier can provide you the service you need. Suppliers can either make or break a technology implementation. If you don’t understand all the implications of a software platform and how it will integrate with the rest of your systems, it may not be able to perform as well as you hope. The problem of software providers today is both a blessing and a curse. The plus side is that technology is now easy to access and it much cheaper than it was before. The down side is that there are so many providers in the midst it can be challenging to decipher those that can offer genuine value from those that don’t have quality product offerings. Make sure you check out their credentials and certificates. See what other customers have said and read reviews. Make sure you read the fine script and avoid any additional fees and or hidden costs in the contract. It’s easy to get excited about a platform before you commit to buy, so make sure you do some research first and you should be on the way to automation success. Ask yourself if the software will integrate well, or if you need to built an API between systems. Consider how the software updates and whether or not it’s easy to manage within a busy schedule. Will the platform be easy for staff to use and easy to train new users? In this era of digital communication, it’s very easy to remain anonymous to consumers by sending them ‘no-reply’ notifications, but customers really do expect human interaction with their purchases. Surely we can all relate. There’s nothing worse than calling a business to enquire about something or even complain and first having to grapple with an automated voice on the other end. It was reported in April this year that people have an innate distrust for virtual assistants because computer generated voices simply can’t replicate the human experience. So where possible, it would be highly recommended to avoid the distrusted robotic assistance where possible. There are a variety of options that seem to be acceptable by customers such as live-chat initiatives, or even telling them you’ll get back to them as soon as possible via email might be a better option. But what does this have to do with the digitisation of your warehouse? According to EY, failing to face digital change means you may lose “control over the customer relationship”, and rather than losing out to the competition, businesses need to develop an end-to-end response that can delivery a comprehensive digital strategy. So if you implement a strategy that involves end-to-end supply chain management with the customer at the heart, wouldn’t it be nice to be able to respond to a warehouse backlog by notifying your customer via email that their parcel may be delayed, or even better, delivered a little bit earlier? Have you got any other tips? Comment below to let us know.